The Airport offers around-the-clock parking with convenient access – on foot or by shuttle – to the domestic and international terminals. Automatic ticket dispensers issue parking tickets for each parking lot area – Hourly, Daily, Economy, Park Ride . You also have the option of using a credit card. All parking facilities include handicap-accessible parking spaces. Once parked, customers should jot down their location, take a reminder card or scan the QR code posted near their parking space. Upon exit, guests can use the pre-pay parking Pay-On-Foot machines located in the parking areas and in the terminal or they can pay at the automated machines at the exit plazas. Cashiers are also available for assistance. The Airport accepts cash and all major credit cards. With more than 30,000 spaces available, parking should be available for all travelers, even on the busiest of days. NOTE: Over the next decade, Hartsfield-Jackson will replace the North and South parking decks as part of the Airport's multibillion-dollar capital improvement program ATLNext. How will it affect your parking routine? 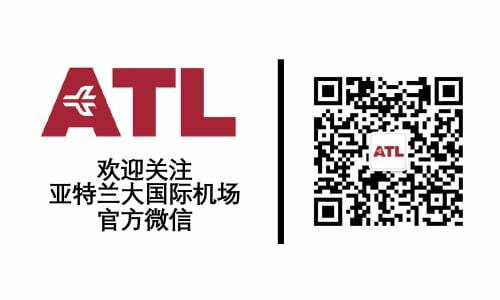 For the latest information, visit next.atl.com. Please refresh the page for the most up-to-date parking status. Also tune into 830 AM for the latest information. SPACE AVAILABILITY IS SUBJECT TO CHANGE. Hourly (Short-term) Parking: The North and South Hourly Parking Lots, which are the closest to each terminal entrance, are ideal for picking up or dropping off individuals at the Airport. Daily Parking (Covered Deck): This 4-level overnight parking area is directly across from each terminal. Economy Parking: The North and South are next to the parking decks, and the West Economy parking lot is at the West end of the terminal. 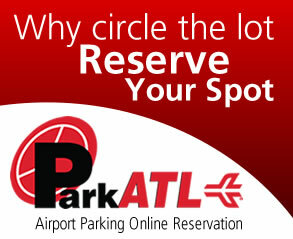 Park-Ride Lots A and C: The Airport Park-Ride lots offer convenient services to both Terminal North and Terminal South. A free shuttle bus will take you to curbside check-in. Upon return to Atlanta, the bus will pick you up from the ground transportation area and return you to your vehicle. International Hourly: The International Hourly lot -- just steps from check-in and arrivals -- contains more than 1,100 parking spaces. The International Hourly parking deck features 14 close-in parking spaces for alternative fuel vehicles and 14 parking spaces for vanpools and carpools. From Maynard H. Jackson Jr. Boulevard, follow the signs to hourly parking. International Park-Ride: The International Park-Ride facility on Maynard H. Jackson Jr. Boulevard, just west of Loop Road, offers 2,400 parking spaces. Passengers will take a three-minute ride on a shuttle bus to the international terminal's Departures level and pick you up at the Arrival's level upon your return. The free shuttle will be available 24 hours a day. Customers in the hourly lots are directly in front of each terminal entrance. For those in economy lots or with physical disabilities, a courtesy shuttle service runs from 6 a.m. to midnight, seven days a week. The Airport also provides courtesy vans to assist customers if they need to jump-start their car, put air in their tires or simply locate their vehicles. Emergency information call boxes are strategically located throughout the parking areas to connect customers to emergency assistance 24 hours a day. For added convenience, lighted parking information directories are available in pedestrian walkways. These directories include a map of the parking areas and display the location of emergency information phones. There is no waiting in line to take a ticket or look for a parking space. A parking space is assured for you in this separate, reserved parking area.Membership is recommended for travelers parking at least 12 days per year. Gold Reserve is located adjacent to Terminal North and Terminal South on the ground level of the parking deck. The lot is covered to protect you from the elements. When you set up your account, an advance payment of $200 is established and maintained at all times along with a $25 or $40 parking transponder fee. In addition, an annual minimum usage fee (AMUF) of $408 is established as well. THE AMUF is charged to all GOLD PARKERS annually in the month of January and is non-refundable. A transponder issued to you for use at North Gold and South Gold will also grant you access to the International Gold Reserve at the International Terminal. We accept the following methods of payment: Visa, Amex, MasterCard, and Discover credit cards. This reserved lot is designed for overnight parkers. Parking fees are $3 per hour to a maximum of $34 per 24-hour period. To become a GOLD PARKER, secure your Gold Reserve membership today by clicking here for the application site or please call (404) 767-7275. Please use the links below for parking information and driving directions to the Domestic and International Terminals. display the location of the emergency information telephones. The Economy Lots Courtesy Shuttle Cart Service is designed for customers who prefer being shuttled vs. walking. The Courtesy Shuttle Service transports customers from the North and South Economy parking lots from 8 a.m. to midnight, seven days a week. This service also accommodates the physically challenged. Security Courtesy Officers monitor parking facilities, assist customers with their parking needs as well as provide courtesy assistance at the entrance of various parking lots from 7 a.m.-6 p.m. daily and direct traffic, as required. Courtesy Assistance Services provide assistance, such as free jump-starts, air, flat tire repair and vehicle locates to our Airport parking customers as a courtesy. Signage displaying the Airport Parking Courtesy Assistance Services is strategically located throughout the Airport Parking facilities at the Emergency Information Telephone Call Boxes. For our customers' added convenience, the courtesy signs matching the ones displayed in the decks are also displayed on the shuttle mini-vans. Emergency Information Telephone Call Boxes are strategically located throughout the Airport parking facilities. The emergency/information telephones will connect customers directly to the parking management office and Airport police for emergency assistance 24 hours a day. Public telephones are also located at the stairwells nearest the terminals. Parking Airport Web site provides valuable parking information to Airport customers, which includes, but are not limited to the various lots, rates and real time parking availability updates. Parking information is available in real-time on Airport radio station 830 AM. Through the most recent effort to become the greenest airport in the world, Hartsfield-Jackson now provides 102 electric vehicle charging stations in various parking locations. These stations should aid in ATL’s efforts to reduce greenhouse gas emissions from 2008 levels by 20 percent by the year 2020. ATL is expected to install an additional 100 charging stations by September 2017. 1. Which type of traveler best describes you? 2. Do you prefer self park (walkable spaces) or shuttle service? 3. How often do you use the Airport’s parking facilities? 4. When exiting the parking facility, how did you check out? 5. Were you able to exit the parking lot within? 6. Was the cashier efficient, pleasant and professional? 7. How would you rate the cleanliness in the Parking facilities on a scale of 1-4 (4 is the highest)? 8. How would you rate your overall parking experience on a scale of 1-4 (4 is the highest)? Thank you for taking the time to share your comments with us. For a response, please complete the following information (optional).